Russia 2018: Did authorities ask for free labour in Nizhny Novgorod? Journalists at Reuters saw a letter sent by the regional sports ministry in Nizhny Novgorod. It asked operators of sports facilities around the city (40 of them, according to the ministry) to send workers to deliver free labour at the World Cup stadium ahead of its first test game (April 15). 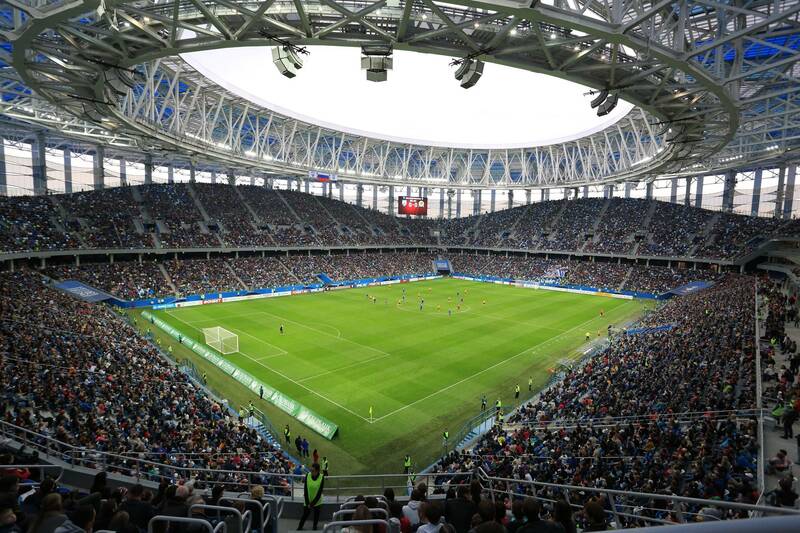 “Unfortunately the level of the stadium’s readiness for the inauguration requires the enlistment of additional labor,” says the letter, signed by regional sports minister Sergei Panov. According to the letter, any work contributed would not have been paid for, rather rewarded with dignified living conditions, including three meals and a place to sleep. 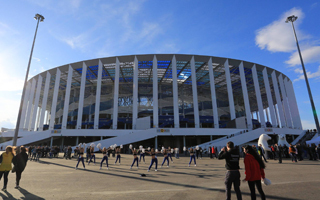 Both the regional authorities and Stroytransgaz, the stadium’s general contractor, said they were aware of the letter’s existence, but that it had been “improperly worded. Since the stadium was successfully launched into operation and has already hosted three games, Reuters assumes the appeal worked. At the same time, the journalists found at least one sports complex that did not transfer any of its workers to the construction site, even if the official spoke under condition of anonimity. Meanwhile, the sports ministry now claims it was a completely different appeal than it may have seemed to be. The regional sports ministry told Reuters the letter was in fact meant to call on sports centers to assemble a team of engineering specialists to maintain the stadium.